Kew Mae Pan Nature Trail is a must-do hiking and trekking trail not to be missed by nature lovers. It is located inside the area of Doi Inthanon National Park, home to Thailand’s highest peak. Visitors to the National Park should include visiting this trail on their itinerary because the reward of hiking this short distance (2.78km) natural walk could be the most beautiful panoramic view you will ever see in Thailand. This green highly-rated trail takes about 2-3 hours to finished and suitable for beginner level hikers. However, it is not recommended for people who cannot climb stairs because some trail parts require uphill hiking. The trail sits at 2,200 meters above sea level, just a few hundred meters below Thailand’s highest peak (2,565 meters). Take note that Doi Inthanon National Park is opened all year but Kew Mae Pan Nature Trail is closed from June to October i.e. the raining season. The trail does not charge an entrance fee (already covered by the National Park entrance fee) but due to the delicate thick forest, it is compulsory to hire a guide, which is the local Hmong hill tribe people who are highly expert on the route but speak very little English. 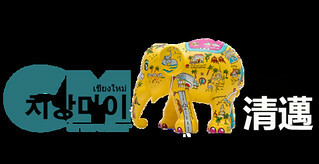 The guide fee is only 200 baht for a group of visitors (not more than 10 people). At the starting point, you will be given a bamboo hiking stick, which the guide call them the “wooden support”. Kew Mae Pan is a circular hiking trail, meaning visitors will go all the way right back to the starting point led by the Hmong guide. The walking trail can be divided into 3 stages, consists of a total of 21 stations. At each station, there is an interpretive sign in Thai and English language explaining different landscape and ecosystems of the trail. The first stage is a dense cloud forest walking trail (station 1 – 6) full of moss and ferns. The evergreen forest is a watershed area because of its key role in trapping moisture in the cloud. One can hike slowly enjoying the cold fresh oxygen from thin air. Trees are high but not thick, struggling to get light while the cloud regularly hits the mountain and soaks the whole forest with high moisture. Mae Pan Waterfall is at station 3. The second stage (station 7 – 14) is a walk through the scenic open grassland whose bright sunshine is warmer than a walk in the forest. This wide area changes colour from green in raining season to beautiful golden brown during the dry season. Station 9 is the panoramic viewpoint to take “that” breathtaking mountain view shot and where early risers waiting for the beautiful sunrise. Depending on the weather, the visibility could be a clear sky mountain view or trapped in a mountain covered with mist, sometimes with a magnificent view of sea of cloud. If you want to catch the sunrise, it starts at 6.40 am and sun fully out around 7.00 am. Upon station 9 is the start of opposite direction. Station 12 is an area where the pathway is narrow between two slopes (i.e the ridge, or in Thai “Kew”, hence the name). On the left is where the sun is shining with the slope falling into the green and dense forest. On the other side, it’s a moist forest where the mountain just drops into a plunging valley that merges into other valleys. Between station 14 and 15 is the point where the King and Queen chedis i.e The Pra Mahathart Napamaythaneedol Chedi and the Pra Mahathart Napapoommisiri Chedi can be seen. From station 15 is the last stage where we are back into the forest again. The temperature in the forest is a few degrees lower than outside and it could fell to as low as 0°C during winter time (December – February). Near the end of the trail, there is a podium at station 20 for visitors to rest while enjoying the sounds of nature. You can hear the sound of the wind and birds singing like a band and lapping water sounds. Kew Mae Pan Natural Trail is located inside the area of Doi Inthanon National Park, read here about How To Get To Doi Inthanon. Some tour operator arranging day-trip to the National Park will include Kew Mae Pan on their itinerary. Please ask them before booking because not everyone visiting the Park wants to spend a few hours for hiking. A bottle of water, and a fully charged phone or camera. Wear long sleeve top and pant, a jacket and sneakers (avoid slipper). Kew Mae Pan is opened from 6.00am to 4.00pm. The trail is open at 6.00am and closes at 4.00pm (for the last visitor to get in). Remember, Kew Mae Pan Nature Trail is closed during the rainy season, i.e from June – October every year.